Vlado Perlemuter and Jean Hubeau’s pupil, Michel Dalberto has established himself during a forty year career as a master. And as an ardent defender of French music he launched on Aparté record label a serie dedicated to Debussy, Fauré, Franck and Ravel. “These recording of works of the four major French composers of the late nineteenth and early twentieth century, I wish to prove myself worthy of the teachers who used to provide a specific idea of French music made of severity and sensuality, a mixture of rigour and freedom.” After a first opus devoted to Debussy and a second to Fauré (both rewarded with international awards), Michel Dalberto chose the Salle Philharmonique in Liège to record the third part of this collection – that is to say in César Franck’s home town. It was with these words that Lukas Hagen, first violinist of the renowned Hagen Quartett, described the four musicians' artistic quality after their performance at the International Mozart Competition held in Salzburg in 2014. Lukas Hagen was president of the Jury. The quartet went on to win First Prize at the Competition. Established at the Korean National University of Arts in 2007, the Novus String Quartet is one of the leading chamber music ensembles in Korea. Since the quartets triumph at the prestigious ARD International Chamber Music Competition in Munich in 2012, where it was awarded Second Prize, the Novus String Quartet has gained steady recognition in Europe. In 2010, the quartet was the first chamber music ensemble to be featured on the list of promising musicians of the year by the music magazine Auditorium. Since then, the quartet has performed concerts internationally, lauded by audiences and critics alike. One year after its founding, the quartet celebrated inaugural success at the International Chamber Music Competition Osaka, where the musicians were awarded Third Prize. One year later, the quartet received Third Prize at the 2009 Chamber Music Competition in Lyon. From 2011 to 2014, the Novus String Quartet studied with the Professors Christoph Poppen and Hariolf Schlichtig at the Hochschule für Musik und Theater in Munich and in the season of 14/15 at the Hochschule für Musik in Lübeck with Professor Heime Müller, former member of the Artemis Quartet. Since June 2015, the Belcea Quartet has been the mentor of the Novus String Quartet. The quartet is part of the Belcea Quartet Trust Coaching Scheme. During the past season, the Novus String Quartet played at the Musikfest Berlin, Flagey Brüssel, Louvre Paris as well as at the Suntory Hall in Tokyo. Their first CD (Novus Quartet #1) was released at the French Label Aparté in spring 2016, presenting works from Beethoven, Webern and the rarely played Korean composer Isang Yun. The spring 2017 will see the release of the second recording of the string quartet with Tchaikovski 1st string quartet and the quartet „Souvenir de Florence“. In the season 2016/17, the Novus String Quartet made brilliant debut at the Wigmore Hall London and the Kölner Philharmonie, where they were immediately invited for further concerts. The 2017/2018 season will see them perform at the Dresdner Frauenkirche, the Wigmore Hall London and the Pierre Boulez Saal in Berlin, as well as in festivals such as the MiTo Settembre Musica and the Beethovenfest Bonn. first came to prominence when, between 1975 and 1978, he won the 1st Mozart Competition in Salzburg, the Clara Haskil Prize and 1st Prize at the Leeds International Piano Competition. Born in Paris in a non-musical family which take roots in Dauphiné and Italian Piemonte, he began the piano at the age of three and a half. When he was twelve, he was introduced to Vlado Perlemuter, a favourite pupil of the late Alfred Cortot, and entered his class at the Paris Conservatoire where he completed his studies during nine years. He has performed under the baton of Leinsdorf & Orchestre de Paris, Sawallisch & Orchestre de la Suisse Romande, Dutoit & Orchestre National de France and Montreal Symphony, C. Davis & Amsterdam Concertgebouw, A. Davis & London Philharmonia, Inbal & Wiener Symphoniker and RSO Frankfurt, Temirkanov & Roma Santa-Cecilia, Dausgaard & Oslo Philharmonic, Cambreling & Frankfurter Opern- und Museumsorchester, just to name a few. Michel Dalbertos chamber music partners include Renaud & Gautier Capuçon, Boris Belkin, Vadim Repin, Nikolaj Znaider, Yuri Bashmet, Gérard Caussé, Truls Mork, Henri Demarquette, Emmanuel Pahud, Jessye Norman, Barbara Hendricks, Nathalie Stutzman, Stephan Genz, Quatuor Ebène and the Modigliani Quartet. He has also been guest of Festivals such as Lucerne, Florence, Aix-en-Provence, Vienna, Edinburgh, Schleswig-Holstein, Grange de Meslay and La Roque d'Antheron and has made no less than fifteen visits to Japan. From the beginning of his career, Michel Dalberto has been acknowledged as one of the foremost interpreters of Schubert and Mozart music. Liszt, Brahms, Schumann, Debussy, Fauré and Ravel are also among his favourite composers. He is the only living pianist to have recorded the complete piano works by Schubert. From 1991 to 2009 he served as Chairman of the Jury of the Clara Haskil Competition which takes place in Vevey (Switzerland) every two years. In 2010, he joined the competition's organisation team. 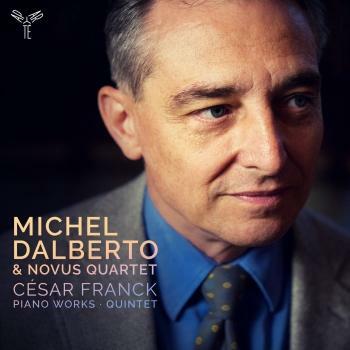 Michel Dalberto has been invited to teach masterclasses at Accademia Pianistica de Imola, Hochschule Hannover, Royal College Manchester, University Seoul, Toho Gakuen Tokyo, Tel Hai Academy in Israel and Interlochen Music University (USA). 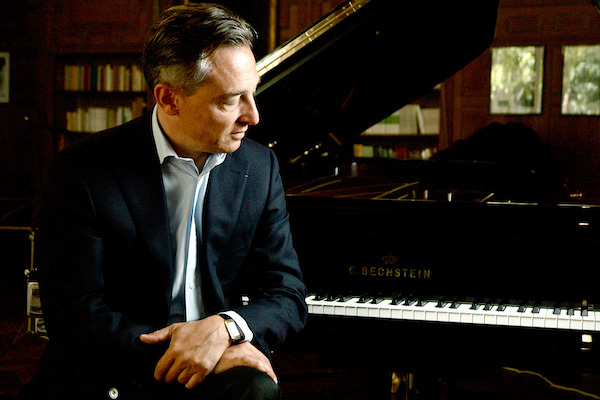 Since 2010, he has been appointed professor for piano at the Conservatoire de Paris. A keen sportsman, he does ski in Savoy and Switzerland (where he lives). He is also an expert in scuba-diving and a devoted fan of Formula 1. He has been awarded the Knight of the Ordre National du Mérite by the French Government in 1996.